Yikes!! Self-Insured Enterprise Rent-A-Car Required to pay $600,000 on behalf of Renter even though Insurer’s Maximum Liability would have been $50,000. By Greg Johnson. In Nelson v. Artley, 2014 Ill App (1st) 121681, reh’g denied (July 16, 2014), the court held that a self-insured car rental company (Enterprise) was required to pay a $600,000 judgment against its renter despite the fact the Illinois Vehicle Code limits an insurer’s liability to $50,000 per person/$100,000 per accident. The court was of the view that the Illinois legislature intended to treat self-insurers differently than insurers. The court’s ruling in Nelson should be reversed; it misperceives the role of self-insurance in the context of a compulsory automobile liability system. This article explains why. In Nelson, Haney rented a vehicle from Enterprise and allowed Artley to drive it. While operating the vehicle, Artley caused an accident, injuring Nelson. Nelson filed a personal injury lawsuit against Artley alleging he was negligent in the operation of the vehicle, but Artley failed answer. The circuit court entered a default judgment of $600,000 against Artley. Nelson then commenced collection proceedings against Enterprise. The issue was whether the limit Enterprise provided to the renter and Artley as an authorized driver was $2,000,000 (the self-insured retention Enterprise identified in its self-insured filings with the Illinois Department of Insurance), the $50,000 per person/$100,000 per accident limits specified by Illinois Vehicle Code (Code), 625 ILCS 5/9–105, or some other amount. 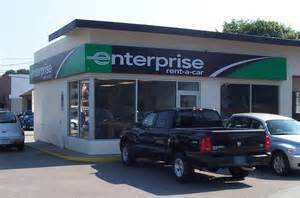 Under the rental agreement, Enterprise agreed to protect the renter and authorized drivers “to the minimum amount set forth in the relevant financial responsibility laws.” Enterprise contended the minimum amount was $50,000 per person/$100,000 per accident pursuant to section 9-105 of the Code, but it only owed Nelson $25,000 because it had already paid $75,000 to two other persons injured in the accident. Nelson, on the other hand, claimed Enterprise’s responsibility was not subject to any limit. He claimed the limits described in section 9-105 only applied to car rental companies that had purchased an insurance policy, not self-insured entities like Enterprise. According to Nelson, Enterprise’s choice to become self-insured under section 7-502, meant it assumed the risk of all damages caused by its renters and drivers. Nelson argued the Illinois legislature intended to treat self-insured car rental companies differently than car rental companies who purchased an insurance policy. Because the statutory language of chapter 9 was important to disposition, the court provided a brief summary of some of the individual statutory sections within chapter 9. Under both the general mandatory liability insurance requirements and the rental car company financial responsibility requirements, the owner of a vehicle may satisfy its statutory obligations by either obtaining an insurance policy or by demonstrating sufficient resources to qualify as a self-insurer. Section 7–502 sets forth the requirements to self-insure: “[a]ny person in whose name more than 25 motor vehicles are registered may qualify as a self-insurer by obtaining a certificate of self-insurance issued by the Director of the Department of Insurance.” (625 ILCS 5/7–502.) The Director may issue a certificate of self-insurance if “such person is possessed and will continue to be possessed of ability to pay judgment obtained against such person” and may cancel a certificate if that person fails to pay a judgment “against any person covered by such certificate of self-insurance” arising out of any accident in which a vehicle covered by the certificate is involved within 30 days of judgment. Id. Prior to the Nelson case, another Illinois appellate court had considered the identical issue in the case of Fellhauer v. Alhorn, 361 Ill. App. 3d 792, 838 N.E.2d 133 (2005), which also involved Enterprise. In that case, Fellhauer was injured in an automobile accident by the driver of a vehicle rented from Enterprise and obtained a $450,000 default judgment against the driver. Fellhauer argued that Enterprise was obligated to pay the entire $450,000 judgment. He claimed that because section 7-502 did not provide any limits of liability, Enterprise’s financial responsibility was not limited in any way. The appellate court rejected Fellhauer’s arguments. Although 7-502 does not state that a self-insured entity’s obligations are subject to the liability limits specified in chapter 9, the court held the chapter 9 limits applied to self-insured car rental companies: the “legislature intended no distinction between self-insurers and those companies that purchased an outside insurance policy in terms of the companies’ liability to injured third parties.” Id. at 838 N.E.2d 133. Ultimately, the court concluded that Enterprise was required to pay $50,000 of the judgment because “common sense dictates that the legislature did not intend to treat self-insurers differently and expose them to unlimited liability when their counterparts, who chose to be covered by a traditional insurance policy, have only a $50,000 exposure.” Id. However, the Nelson court reached the exact opposite result — it concluded the Illinois legislature intended to treat self-insured car rental companies differently than car rental companies who purchased insurance. The court rejected the Fellhauer court’s determination that a self-insured entity’s obligations are subject to the bodily injury liability limits identified in chapter 9 of the Code (i.e., $50,000 per person/$100,000 per accident). Id. at __ (“[t]o the extent the court in Fellhauer decided that … a self-insured rental car company’s financial responsibility requirements were governed by chapter 9, we disagree”). The Nelson court found the omission of any liability limit provisions in 7-502 to be significant and conclusive on the issue: “By specifying minimum amounts of financial responsibility for … insurance policies, but declining to do so for self-insured companies, the legislature … allow[ed] for greater protection in the event rental car companies that are financially able to do so choose self-insurance.” Id. at __. According to the Nelson court, “the Code does not limit a self-insured rental car company’s financial responsibility to the same minimum amounts that are required of an insurance policy.” Id. at __. Because a “self-insured rental car company’s minimum responsibility to pay judgments is not limited to $100,000 per occurrence or any other amount,” Enterprise was obligated to satisfy the full $600,000 judgment against the driver of its rented vehicle. The court reached the wrong result in Nelson. The court misperceived the role of self-insurance in the context of a compulsory automobile liability system. The phrase “self-insurance” means, generally, the assumption of one’s own risk and, typically, involves the setting aside of a special fund to meet losses and pay valid claims, instead of insuring against such losses and claims through an insurance policy. Black’s Law Dictionary, 1360 (6th ed. 1990); Hillegass v. Landwehr, 176 Wis.2d 76, 499 N.W.2d 652 (1993) (“[w]hereas contractual insurance policies involve a third-party insurer under-writing the insured’s risk in exchange for premium payments, self-insurers retain their own risk in exchange for not paying premiums”). When utilized in a compulsory automobile insurance system, self-insurance is the functional equivalent of an automobile insurance policy and requires the self-insured entity to afford the same coverages and limits as an insurer would be required to provide under a policy. See e.g., McClain v. Begley, 465 N.W.2d 680, 685 (Minn.1991) (noting that “[s]elf-insurance is the functional equivalent of a commercial insurance policy” and “[t]he certificate filed with the commissioner is the functional equivalent of an insurance policy”); United States Fidelity & Guaranty Co. v. Budget Rent–A–Car Systems, Inc., 842 P.2d 208 (Colo.1992) (Kirshbaum, J., specially concurring) (self-insurers must comply with the standards applicable to commercial insurers with respect to liability responsibility); Southern Home Ins. Co. v. Burdette’s Leasing Serv., Inc., 268 S.C. 472, 234 S.E.2d 870, 872 (1977) (“[w]e think it was the intention of the legislature that a self-insurer provide the same protection to the public that a statutory liability policy provides. A self-insurer substitutes for an insurance policy to the extent of the statutory policy requirements”). Statutes authorizing self-insurance in a compulsory automobile liability system are often quite vague. Like section 7-502 of the Illinois Vehicle Code, they typically do not require the self-insured entity to file any detailed plan specifying terms, conditions or exclusions to its obligations similar to an insurance policy. The certificate of self-insurance only serves to demonstrate the financial responsibility of the self-insured party. Instead, the self-insurer is treated “as if” it had purchased a policy for each of its vehicles with itself as the named insured and its obligations are measured against the standards imposed by the statutes on insurers. See e.g., Original Blue Ribbon Taxi Corp. v. S. Carolina Dep’t of Motor Vehicles, 380 S.C. 600, 610, 670 S.E.2d 674, 679 (Ct. App. 2008) (“[o]ur courts have consistently held self-insurers are required to provide a substitute for an insurance policy to the extent of the statutory policy requirements”); Jackson v. Donahue, 193 W. Va. 587, 457 S.E.2d 524, 530 (1995)(“when one becomes a self-insurer under the Motor Vehicle Financial Responsibility Act, he must pay those claims which normally would arise under the terms of the Act and which are covered by the insurance policies described in the Act itself”). In the course of defining “self-insurance,” it is a common business practice to self-insure up to a certain amount, and then to cover any excess with insurance. This self-insured retention (SIR) amount serves as the self-insurer’s limit of liability with respect to any tort liability the self-insured entity may incur in connection with the ownership, maintenance or use of its vehicles. As noted, the terms of the self-insured “policy” are supplied by the requirements imposed by statute on an insurance company. Thus, for example, if the compulsory auto law requires a liability insurer to provide omnibus liability coverage protecting permissive users, the self-insurer must likewise extend omnibus protection to permissive users. See e.g., McClain v. Begley, 465 N.W.2d 680, 685 (Minn.1991) (Simmonet, J. concurring) (because a commercial automobile policy, if purchased, would afford omnibus liability coverage for permissive users, self-insurer is required to extend omnibus coverage); Barnes v. Whitt, 852 P.2d 1322, 1323-26 (Colo. App. 1993) (“the language of the statutes requires every owner of a motor vehicle to provide liability coverage for bodily injury arising from the vehicle’s permissive use without exception and that the provisions with regard to self-insurers do not limit that obligation”); United States Fidelity & Guaranty Co. v. Budget Rent–A–Car Systems, Inc., 842 P.2d 208 (Colo.1992) (Kirshbaum, J., specially concurring) (self-insurers must comply with the standards applicable to commercial insurers with respect to liability responsibility). A few states do not require omnibus coverage. See e.g., Enterprise Rent-A-Car Co. of Boston, LLC v. Maynard, 2012 WL 1681970 (D. Me. May 14, 2012) (although Enterprise paid $260,000 to settle a lawsuit against its renter, it was not obligated to do so because Enterprise had no tort liability and 29–A M.R.S. § 1611 did not require rental vehicle owners to obtain a policy insuring a permissive user of a rental vehicle). (I addressed the Maynard case in a separate blog article, “Oops!! Self-Insured Owner of Rental Vehicle that had no Obligation to Afford Omnibus Coverage to Permissive Users not entitled to recover $260,000 Settlement Payment”). Illinois requires vehicle owners and their insurers extend omnibus coverage to permissive users. See e.g., Farm Bureau Mut. Ins. Co. v. Alamo Rent A Car, Inc., 319 Ill. App. 3d 382, 386-87, 744 N.E.2d 300, 303 (Ill. App. Ct. 2000) (omnibus clause insuring permissive users must be read into all motor vehicle policies that do not expressly include it); State Farm Mutual Automobile Insurance Co. v. Universal Underwriters Group, 285 Ill.App.3d 115, 674 N.E.2d 52 (1996) (“the [Vehicle] Code mandates that the insurance policy issued by Universal provide omnibus coverage in the absence of any statutory language qualifying the mandate”). This, in turn, raises the issue of whether a self-insured entity may limit the extent of omnibus protection it may be required to extend permissive users to an amount less than its SIR. The majority of jurisdictions have held that a self-insurer, like an insurer, is not required to provide the same level of protection to permissive users (omnibus insureds) as provided to the self-insured entity (named insured). Stated another way, coverage for the named insured need not be coextensive with omnibus coverage. In the case of a self-insured car rental company, a special type of self-insurance, the car rental company typically limits its omnibus coverage obligation by use of a rental contract language limiting the protection to the “minimum” limits mandated by the applicable law.The effectiveness of such step-down provisions was most thoroughly addressed in Agency Rent-A-Car, Inc. v. American Family Mut. Auto. Ins. Co., 519 N.W.2d 483 (Minn. Ct. App. 1994), a case I handled for the rental car company, Agency. Agency had a self-insured retention (SIR) of $500,000 and a $5 million excess policy. The rental car contract provided that Agency would afford minimum limits ($30,000 per person/$60,000 per accident) of bodily injury liability protection to its renters. At the time of the accident, Gruett (the renter) was insured by American Family under a personal auto policy affording $50,000 limits. Gruett caused an accident and the other driver sustained $87,000 in damages. American Family argued that Agency was obligated to extend its entire $500,000 SIR to Gruett on a primary basis, such that American Family’s liability coverage would not come into play – the damages, as noted, were only $87,000. Agency argued that neither the No-Fault Act nor public policy required an owner of a vehicle, such as a rental car company, to afford liability protection to renters which is co-extensive with the level of protection the owner selected for itself. Agency acknowledged that it was obligated to pay $30,000 of omnibus coverage on behalf of the customer pursuant to the rental car contract, but contended that American Family was obligated to pay the next $50,000 of damages and Agency was then liable for the remaining $7,000 based on its vicarious liability under Minn. Stat. § 170.54. (Agency contended that it was legally entitled to indemnification for the remaining balance of $7,000 from Gruett, but agreed to waive the claim). A self-insured entity wears two hats: one as the “owner” of a motor vehicle and another as an “insurer.” Section 7-502 of the Illinois Vehicle Code addresses the self-insured entity’s tort liability and its ability to pay any judgment entered against it arising out of the ownership, maintenance or use of its vehicles: “The Director may issue a certificate of self-insurance if “such person is possessed and will continue to be possessed of ability to pay judgment obtained against such person.” (625 ILCS 5/7–502.) Section 9-105 addresses the self-insured entity’s insurance obligations. The Nelson court held that Section 7-502 described the limits of Enterprise’s obligations relative to the judgment entered against its authorized driver. However, section 7-502 does not even require omnibus protection, much less proscribe a limit for such protection. The obligation to provide omnibus coverage is identified in section 9-105. That statute provides that an insurance policy insuring the owner of for-rent vehicles must also insure the owner and “any person operating the motor vehicle with the [rental car company’s] express or implied consent.” Because self-insurance is the functional equivalent of an insurance policy (or a “substitute” for an insurance policy), a self-insurer must likewise extend omnibus protection. Enterprise acknowledged its statutory obligation to afford omnibus liability protection in paragraph 7 of its rental contract. Section 9-105 requires a policy to afford coverage for bodily injury in the minimum amount of $50,000 per person and $100,000 per occurrence. (625 ILCS 5/9–105.) That limit is likewise the limit that must be extended to the permissive user of a self-insured vehicle. It only makes sense that the statute which imposes the obligation to provide omnibus coverage would likewise identify the limit of that obligation. Nothing suggests that the Illinois legislature actually intended to treat self-insured car rental companies differently than car rental companies who purchased insurance. Enterprise’s liability for the judgment in Nelson should have been $25,000 not $600,000. A contrary ruling would expose self-insured car rental companies to unlimited liability for accidents resulting from the negligence of rented vehicles. It would, in essence, impose vicarious liability on self-insured car rental companies. To that extent the law is interpreted in that fashion, it may very well be preempted by the Graves Amendment. The Graves Amendment provides that a rental car company may not be held liable for harm to persons or property arising from the use, operation, or possession of one of its rental vehicles if there is no negligence or criminal wrongdoing on the part of the company. 49 U.S.C. § 30106(a) (2006). I have addressed the Graves Amendment in several prior, extensive articles on this site. This blog is for informational purposes only. By reading it, no attorney-client relationship is formed. The law is constantly changing and if you want legal advice, please consult an attorney. © All rights reserved. 2010. This entry was posted in Rentals and tagged Additional Insured Coverage, Graves Amendment, Rental Car Liability, self Insured, Self Insured Retention. Bookmark the permalink.